Scorpion 3 Pistol with high capacity magazine, approximately 250 rounds of .223 caliber ammunition and approximately 250 rounds of 9mm ammunition. Detectives subsequently arrested Matthew Hansen for PC 30605(a) – Possession of Assault Weapon, PC 30600(A) – Import Assault Weapon, and PC 32310(a) – Possession of a Large Capacity Magazine. Detectives also subsequently arrested Donald Haile for PC 30605(a) – Possession of Assault Weapon, PC 29800(a)(1) – Possession of a Firearm by a Convicted Felon, and PC 30305(a)(1) – Possession of Ammunition by a Convicted Felon. 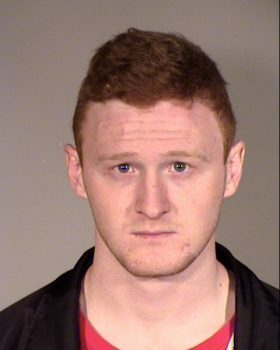 Hansen was booked into the East County Jail for the listed violations, where his bail was set at $100,000. 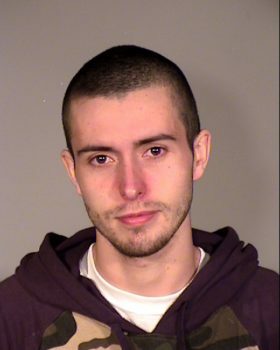 Haile was also booked into the East County Jail, where his bail was set at $65,000.